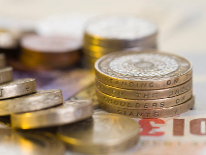 AA has launched a new one-year fixed rate ISA paying 1.76% upon its anniversary. Savers must invest from £500. Early access is allowed subject to closure of the account and a breakage charge. Transfers in from both cash and stocks & shares ISAs are accepted. This deal is for savers aged 16 and over and must be operated online. Savers who have yet to utilise this year’s tax-free allowance will be excited by this new launch from AA. Paying 1.76%, this deal heads straight into the Moneyfacts.co.uk Best Buys and would make a great choice for anyone looking to keep their savings away from the taxman. FirstSave has increased the rate paid on its one-year fixed rate bond, which now pays 2.06% on its anniversary or 2.04% monthly. Savers opting for the anniversary rate must invest from £1,000 whereas those who choose the monthly option will have to invest at least £5,000. Additions and earlier access to funds are not permitted. Savers must be aged 18 and over and the account must be operated online. The 2.06% one-year fixed rate bond from FirstSave is highly competitive, sitting among the top-ten of its sector. With a monthly option available, this is a great choice for anyone looking to supplement their income. However, with no early access to funds, savers must be comfortable with the length of the term. Yorkshire Building Society has re-vamped its mortgage range including its two-year fixed rate mortgage, which is now priced at 1.44% to 31.1.18. This deal is available to all applicants who borrow between £25,001 and £5 million at 75% loan-to-value. A fee of £975 is payable, of which £845 can be added to the advance of the mortgage. This deal has the flexibility of being able to make overpayments, underpayments and take payment holidays. The 1.44% two-year fixed rate mortgage from Yorkshire Building Society is highly competitive and sits among the top three deals on the market, entering the Moneyfacts.co.uk Best Buys as a result. This deal is a cost-effective option for many borrowers, especially for those who want flexible repayment options. Tesco Bank has reduced the rate on its two-year fixed rate mortgage, which is now priced at 3.89% to 31.1.18. This deal is for all borrowers who borrow from £40,000 at 95% loan-to-value. A fee of £495 is payable, of which £300 can be added to the advance of the mortgage. An incentive package for remortgage customers of free valuation and free legal fees is available. This deal has the flexibility of being able to make overpayments of up to 20% of the outstanding balance and take payment holidays. Borrowers with a small deposit of 5% will be delighted by this latest update from Tesco Bank. Priced at 3.89%, it sits just shy of the market-leader, and as a result heads straight into the Moneyfacts.co.uk Best Buys. Not only does this deal offer borrowers a great rate and a low fee, but remortgage customers will also enjoy a great range of incentives, including free valuation and free legal fees. In addition, Clubcard holders will receive the added benefit of extra points to spend in-store.